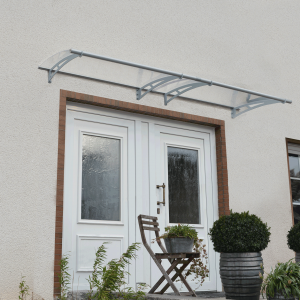 Manufactured with high quality laser-cut steel arms it has an integrated rust resistant aluminium rain gutter. 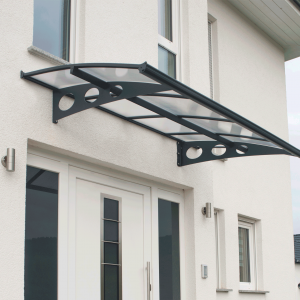 The UV protected clear polycarbonate roof panels give you protection from the rain and the sun. 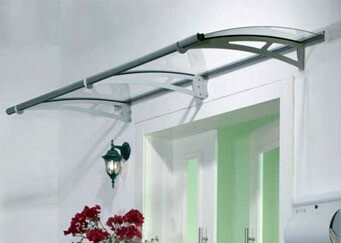 Also included within the overdoor canopy is the complete wall mounting kit including the back sealing gasket. 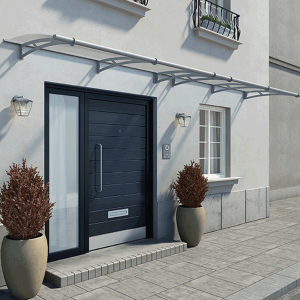 The Walbrook 2050 Overdoor Canopy is suitable for a double door or patio entrance, covering an area of 1.9m2. 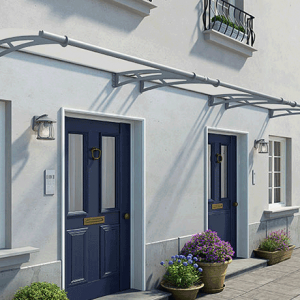 Click here to download our Walbrook 2.05m assembly instructions.